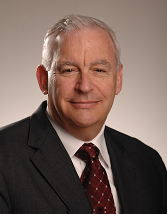 Dr. Gary Cort currently chairs ISO Technical Committee 176, which is responsible for the continued evolution of the ISO 9000 family of international quality management standards. Dr Cort is a principal at Exxeos Group, an alliance of international management consulting firms focused on operational excellence through flawless execution. He works with Fortune 500 companies throughout the world to dramatically improve operational effectiveness. Dr. Cort has more than 30 years of quality management experience specializing in software engineering, project management, configuration management, and metrics. Dr. Cort has led large-scale projects for NASA, the U.S. Department of Energy, and the Los Alamos National Laboratory, where he also served as Quality Officer. Prior to forming Exxeos Group, Dr. Cort was vice president for software quality at Research In Motion, the developer of the Blackberry. Prior to that, he co-led the world-wide CMMI deployment effort for Intel Corporation. Dr. Cort has enjoyed a long and productive relationship with the Software Engineering Institute and is a certified SCAMPI High-Maturity Lead Appraiser and CMMI Instructor as well as one of the authors of the SCAMPI B&C appraisal methods. He has worked with many international quality models and standards and has drawn extensively on ISO 9001, ISO 14000, Six Sigma, CMMI, and Malcolm Baldrige to create harmonized quality management solutions. He is the developer of the PEAK measure of process capability and holds various patents in the domain of statistical quality control. Dr. Cort holds a Ph.D. in Physics from Texas A&M University and is an ASQ Certified Software Quality Engineer. Dr. Cort is a former Adjunct Professor of Software Engineering at the University of New Mexico and currently serves on various standards and advisory boards. Click Here to request Gary Cort to speak.